When Apple released iOS 10, they also released their own coding app, Swift Playgrounds. This was exciting news for schools! 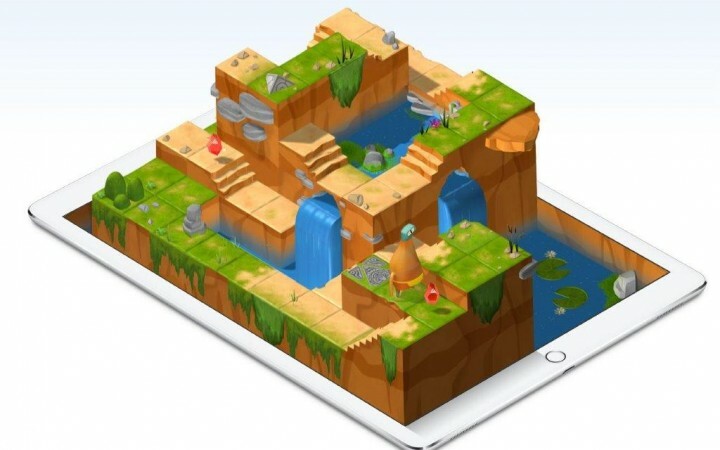 Swift Playgrounds allows students to learn to code using Apple’s coding language Swift. If you’re not familiar with the term ‘code’, in its simplest form, code is the language used to make computer software and programmes. Today, code powers almost everything around us – from starting your car through to ordering a takeaway and everything in between. Perhaps not surprisingly, it is now part of the National Curriculum that all students learn to code. Swift is a popular coding language developed by Apple and released in 2014, in order to empower everyone to bring their ideas to life on any platform. Swift was designed to create the best available language for everything from systems programming, through to mobile and desktop apps, and even cloud services. Most importantly, Swift has been designed to make writing and maintaining programmes easier. Swift Playgrounds is a revolutionary app for the iPad that makes learning and experimenting with code interactive and fun. Swift is an interactive app, which encourages students to learn through play. As you write your code, the actual outcome is played out on screen to show the cause and effect of the actions taken. Students correct and create code using a number of pre-set templates or blank canvases. You don’t need to know anything about coding to use Swift, making it perfect for new starters. As you move through the various stages, the coding gets more difficult and new challenges are presented. With its own set of lessons, the App is perfect for use in the classroom and comes ready to teach. Apple has even developed a Swift Playgrounds Curriculum Guide featuring free resources for taking students from no coding experience right up to building their first apps. As each playground is open-ended, the student can use their imagination to develop their ideas. These playgrounds can also be shared among students using airdrop, messages, and mail. Shared playgrounds can also be edited by each user, allowing them to add their own ideas. Swift Playgrounds can now also be used with accessories playgrounds to command devices such as Lego Mindstorms EV3 robots, Sphero SRPK+ robots, drones, and MeeBots. The App comes complete with guided lessons for each accessory, as well as template starting points for writing your own programmes to control these devices. As with all iPad Apps, Swift is intuitive to use and very well thought out and executed. Check out a video of it in action HERE. If you would like to update the technology in your school and give your students access to the very latest emerging technologies, HardSoft Apple leasing will allow you to spread the cost. As approved Apple retailers, we are perfectly equipped to advise you in all aspects of computing and finance. All iPad leases come with 3 years Warranty, Technical Support, and Accidental Damage Cover. We also supply FREE rugged cases to protect your devices. Lease an iPad Mini from as little as £5.90 per month or checkout our most popular Learning Lab package consisting of 30 iPad Airs, trolley, and MacBook Air from just £375 per month.